As your Idaho independent insurance agents, Insurance Designers wants to help make sure you have the right level of coverage for all your insurance needs. Because insurance laws vary from state to state, it is important to speak with one of our experienced agents before purchasing a new policy. Whatever your insurance needs are, let us help you find the best coverage around! Most home insurance policies do not include flood coverage, so it is best to prepared for the worst and protect your home. Even if you don't live in a flood zone, this type of insurance protection is necessary to protect your assets in the event of a natural disaster. 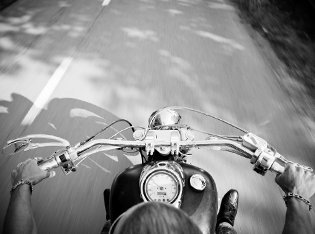 Owning a motorcycle is much different than owning a commuter car because you are much more exposed to danger while driving a bike. Drive safer and give yourself peace of mind by investing in comprehensive motorcycle insurance coverage. Boating accidents can happen on and off the water and paying for repairs out of pocket can keep you docked longer than necessary. Protect your boat and your crew with affordable coverage that meets your needs and your budget. Take to the open road knowing that you and your loved ones are protected from the unexpected while on your trip. Your RV is like a home away from home while you're out on the road and it's easy to protect it with total insurance protection. When you make an investment on a classic car, you need to protect your moving piece of art with comprehensive insurance coverage. Find the best rates available by comparing quotes online with Insurance Designers in just minutes. This type of insurance keeps you covered just like an umbrella. Shield yourself from major claims and lawsuits with this form of extra liability coverage in the event that your other basic policies are exhausted.